Most of the embellishments I buy, I know I can use on cards also, because let's face it you never really use a whole pack of embellishments on a layout, no matter how hard you try there is always something left over...a bit of ribbon, a button or two, the odd sticker or rub on etc. This layout was made with old Fancy Pants paper and button and old Clear Expressions transparency, old Bella chipboard letters, old twine and new washi tapes. 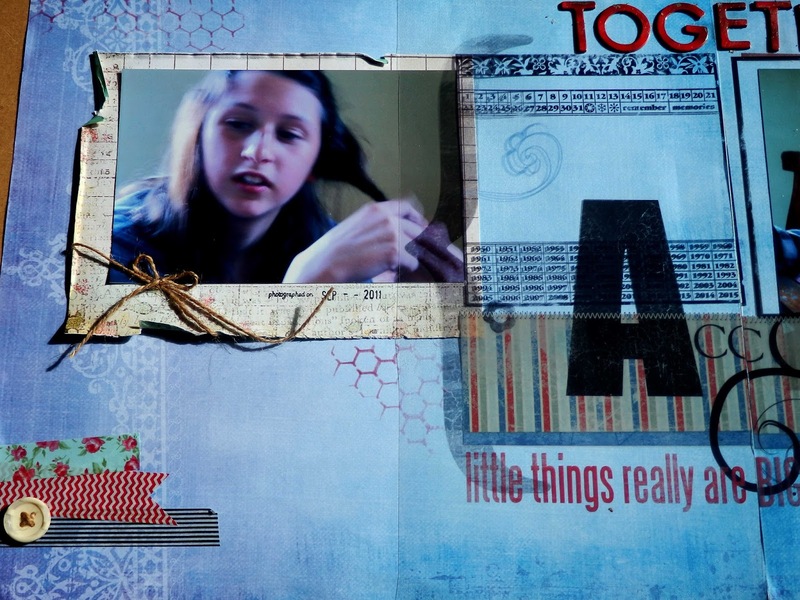 Oh and by the way, the layout I posted yesterday was made only using old stuff: Chatterbox and My Minds Eye papers and Heidi Swapp alpha's.